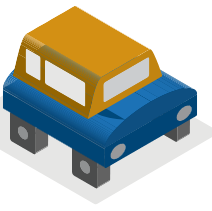 Does collaborating with the K-12 system sometimes feel like you’re trying to drive a car with square wheels? That’s one way people described what it can be like to combine the strengths of community organizations and school districts together to better serve opportunity youth who want to return to high school to finish their degrees. Millions of older youth and young adults in the US did not finish high school, and are now neither in the education system or working. In our new report, Back Together Again, we look at four exemplar communities to understand how they’ve structured their K-12 reengagement programs, with a particular focus on how school districts in those places collaborate with community partners. The report details a spectrum of lessons learned, ranging from how to set up strong partnerships and programs, to the key elements of strong programs and services for reengaged youth, to supportive policy work. Authored by Leslie Rennie-Hill, the report takes an honest look at the challenges and opportunities when school districts and community partners work together. These partners can have different underlying beliefs, organizational structures, policy and legal constrictions, and even the language they use can be different. But we dug in and found how four communities (Portland, OR; Dubuque, IA; Boston, MA; and South King County, WA) worked through these differences to create programs with great promise for youth.